If you want to take your earnings to the next level and have a relatively low number of products you’re promoting, all of which are physical products, you might want to consider finding a reputable dropshipping company to work with. 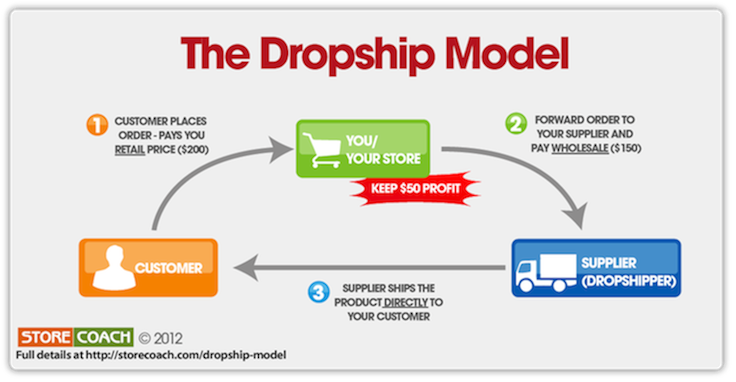 Dropshipping is kind of like affiliate marketing on steroids, since you get to cut out the online retailer. Instead, you effectively become the digital retailers, but without the hassle of having to deal with any logistics or inventory issues. Drop-shipping companies are either manufacturers or third-party firms that will ship products directly to your customers, without you needing to ever touch the product. It’s a great way to operate because you can have a 100% cash flow positive business model. You accept a purchase from a customer on your site, and then place the order with the fulfillment company. They ship it out, and will even use your logo, address, or other branding to do so. The customer gets the product “from you,” even though you never touched it. The upside to drop shipping is that you can usually make a good margin improvement compared to the similar affiliate commission. For physical products, affiliates often receive commissions in the 4-12% range. Drop shipping could allow you to more than double that, and earn a 20% margin, all for the cost of simply setting up a payment system on your site. The downside is that this is not a “hands-off” business model. You (or an employee or contractor) will need to be available to accept orders and send them to the drop shipping company on your behalf. You’re best off searching specifically for the products you want to drop ship, but some of the big names include DOBA and the relatively new but incredibly lucrative Fulfilled by Amazon program. See the full list of 100 affiliate tips.